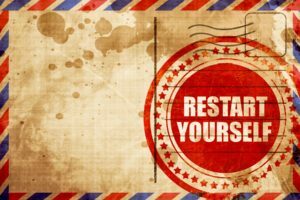 Expats: Go home a bit, reboot your life! If you’re a long-term expatriate looking to reboot your life, maybe you should do what I and my family did – pack your bags and hang out for 3 whole months where you were born to gather some perspective on your childhood, life abroad and what you want out of it all – a true lesson in personal growth and development. It could be eye opening, depressing, or, in our case, open up your life to a world of new opportunity. When my wife and I pondered taking a 3-month sabbatical to my hometown in the US we took numerous things into consideration. For one, seeing my parents, who are slowly entering old age – who knows how long they’ll be around? An extended stay would give us a chance to spend more time with them than I have spent in the last 20 years. But it was also about the fact that “business” was slow – my wife quit a high-stress job at the end of summer 2017, and assignments from my two main clients had become few and far between. And, as someone just finding their footing in middle age, at times it has been difficult for me to stay upbeat about my work prospects, despite my ample experience as a journalist and communications specialist. In the last two years I’ve had many serious job offers that just haven’t panned out. While I know I’m lucky to be a freelancer who has always stumbled onto a new client when I least expect it, I was concerned. Would we have to dip into our modest savings? And then what happens? That all added up to us deciding to spend three months at my mother’s place in Loves Park, Illinois, where our main activities were making home-cooked meals, helping my mom around the house a bit, reading, walking the dog, meditating, working out at the YMCA, going to the library, etc. And as the days passed, we found we had totally forgotten about our real life – the highs, lows and everything in between – back in Budapest, Hungary. Come to think of it, this is something I have been experiencing periodically over the near three decades that I’ve been living abroad. It’s the feeling that home is a staging ground of sorts, a place where you come up with plans (like this series of podcasts I did for my oldest client, KPMG) for things to do once you get back to your adopted home. I think this is part of what happens when you become an expat. This time, however, things have turned out even better than I expected.